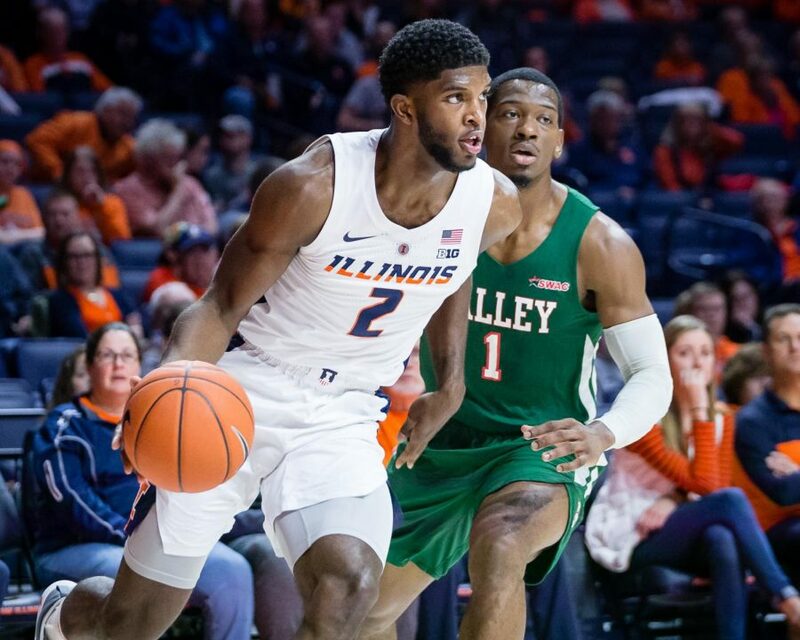 Illinois forward Kipper Nichols drives to the basket during the game against Mississippi Valley State at State Farm Center on Nov. 25. 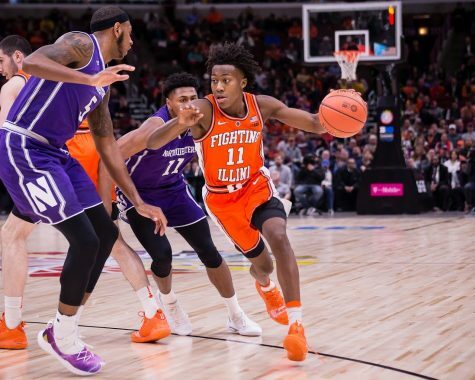 The Illini won 86-67. 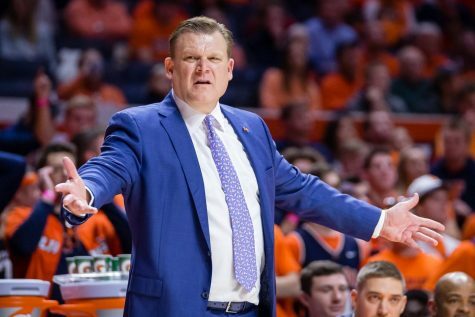 During Brad Underwood’s time at Illinois, only one thing has been constant: change. 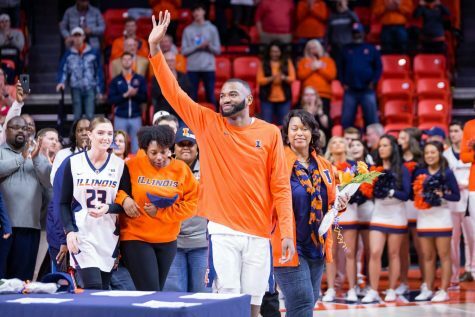 Whether it’s a change in culture with the installation of a high-pressure aggressive defense or a change in personnel with eight new players joining the team, the program is dramatically different now than it was when Underwood took over only a season ago. 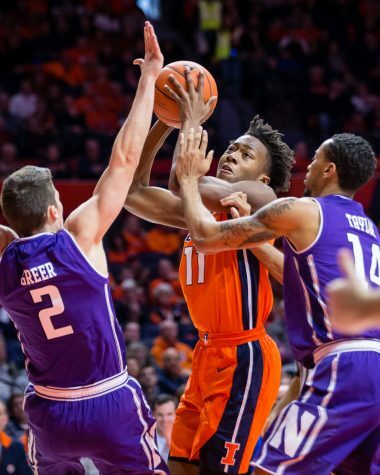 Even late into last year’s Big Ten slate, Underwood wasn’t afraid of tweaking the starting five, inserting redshirt junior Kipper Nichols into the starting lineup for the last stretch of games in 2017. Underwood has continued with lineup experimentation because of the influx of unknowns that come with eight new players on the roster. 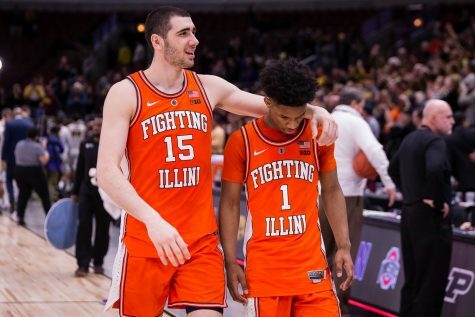 In the last five games the Illini have put out five different groups of starters, ranging from a three-guard lineup against Notre Dame to a lineup featuring freshman big man Giorgi Bezhanishvili alongside grad transfer big man Adonis De La Rosa. 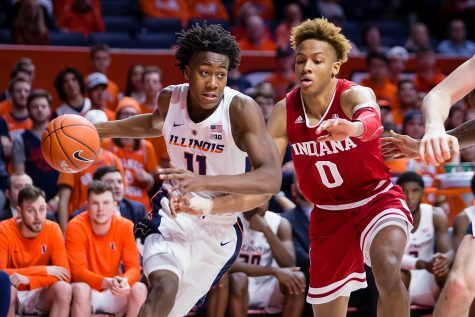 With the Illini heading into the beginning of Big Ten play, Underwood says that the change won’t stop any time soon. Underwood stressed the production from his bench is an important cornerstone for this team, which is something he takes note of. 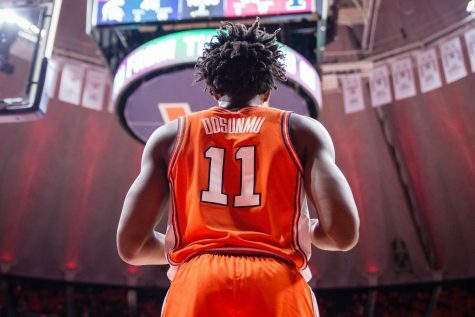 When the Illini play with their opening game starting five, composed of sophomore Trent Frazier, freshman Ayo Dosunmu, senior Aaron Jordan, Nichols and Bezhanishvili against major competition, the Illini bench has outscored its counterparts 40-27 in two games: Gonzaga and Iowa State in Maui. 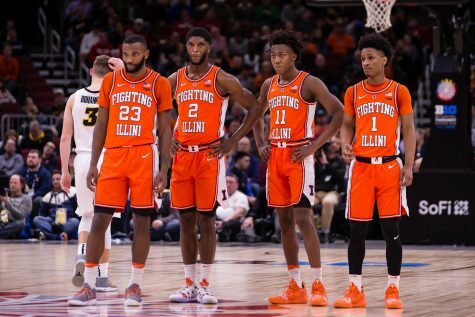 However, when Illinois has not played its original starting five, the team has been outscored 50-24 on bench points. 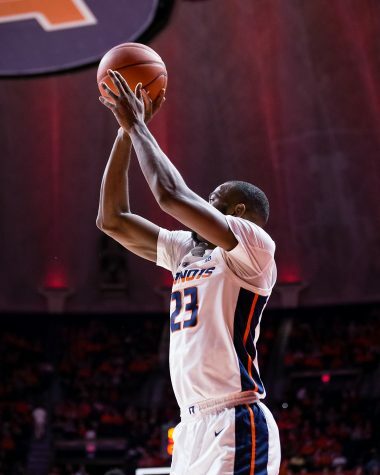 Nichols has been a recent centerpiece of Illinois’ bench disparities. 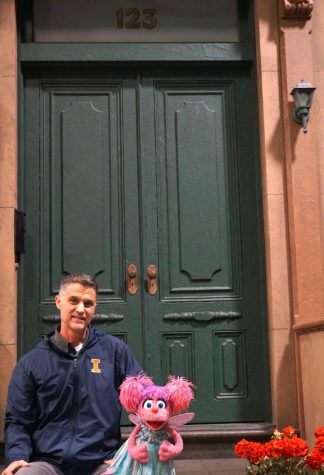 Due to his lackluster performance in Maui, the junior found himself outside the starting five after the Iowa State game and has not been back since. Coming off the bench, Nichols has averaged three points per game against major competition. 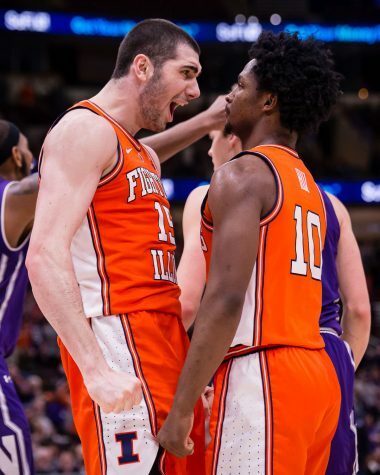 Another constant for the Illini has been Bezhanishvili, who has started every single game for the Illini. 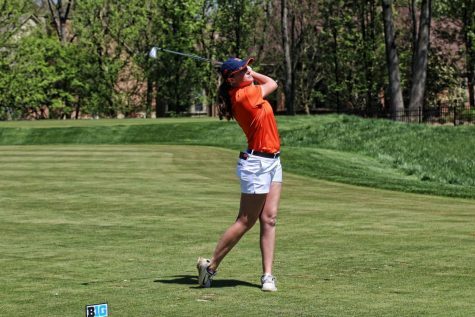 But the Illini will need to find that lineup in a hurry if they want to play their way towards a chance at a tournament berth. 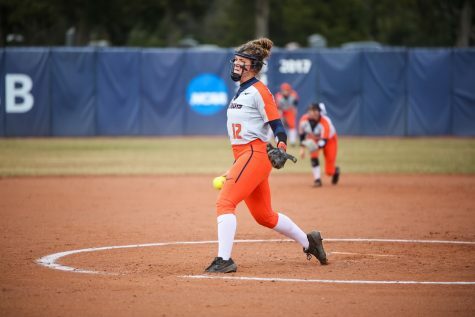 Currently, Illinois sits at 2-5, with their two wins coming against Mississippi Valley State and Evansville, and is ranked No. 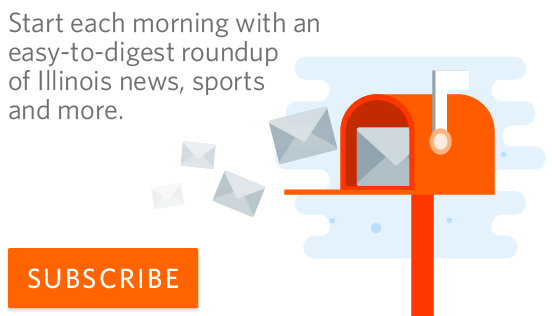 125 in the NCAA’s new NET rankings.